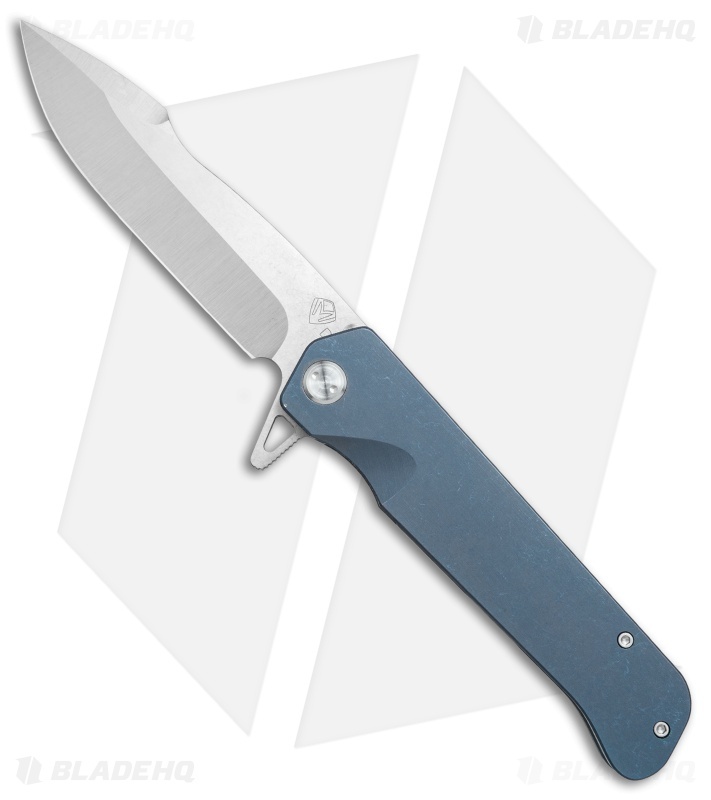 This Gigantes features a tumbled, blue anodized titanium handle and a stonewashed D2 tool steel blade. The Gigantes from Medford Knife & Tool is a massive frame lock flipper that blurs the line between folding knife and pocket sword. 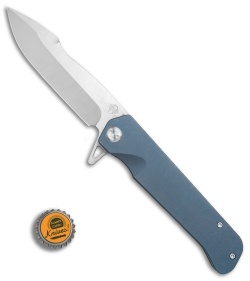 Despite its large size, this knife is surprisingly lightweight and maneuverable in hand. 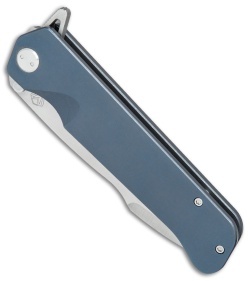 With a pull of the flipper, the "harpoon" style blade deploys smoothly and locks into place with resounding authority. This model features a tumbled titanium handle and a stonewashed D2 tool steel blade. D2 tool steel blade for top-notch edge retention and wear resistance. 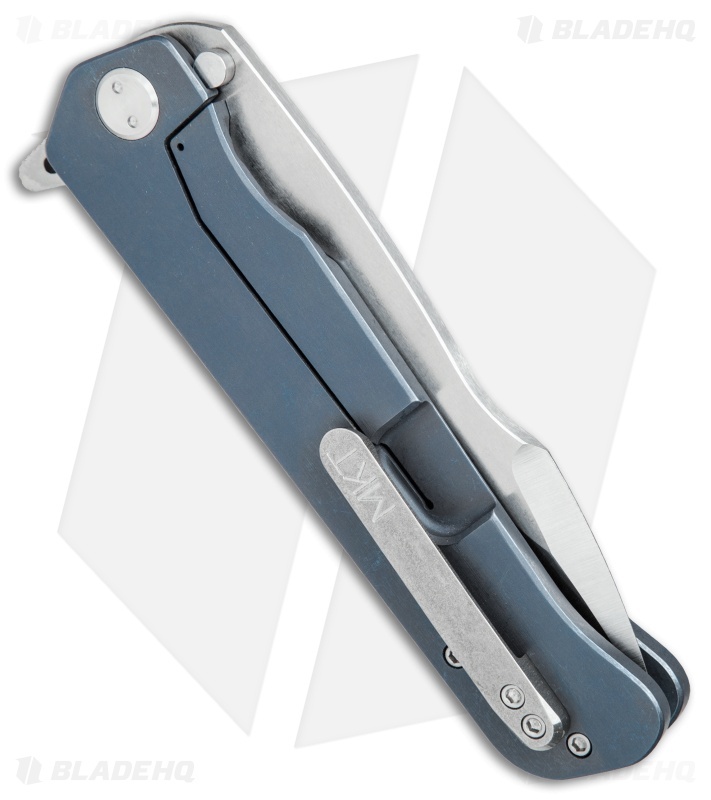 Heavy-duty titanium construction provides a solid, dependable frame. Tight fit pocket clip allows secure, right side tip-up carry.